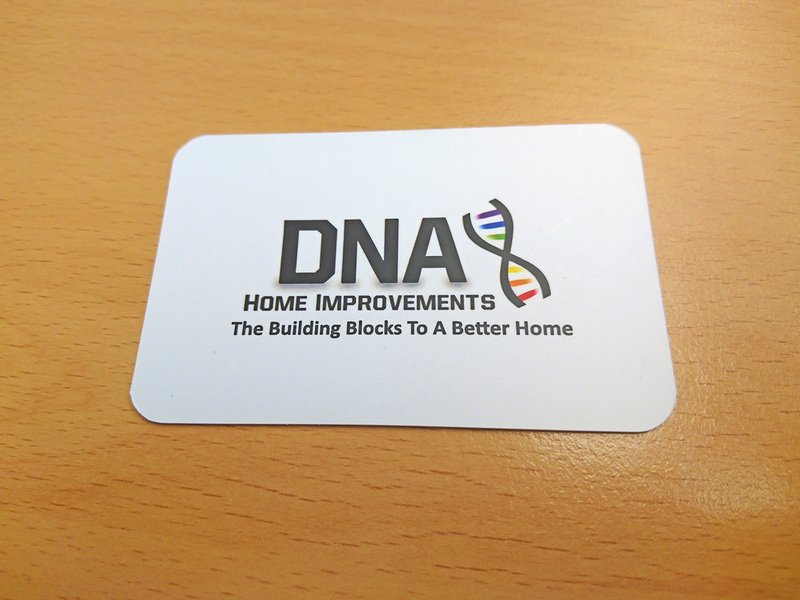 Bored of ‘normal’ business cards? 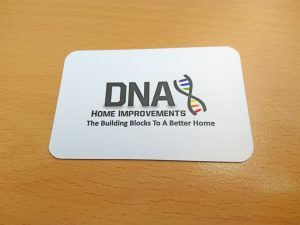 As a business owner it’s quite likely that you have your own business cards and have seen a fair few in your time, can you remember all of them? Very unlikely. You will remember some though, the ones that are that little bit different perhaps? Generally speaking, business cards come on a paper stock at 85mm x 55mm – our standard paper stock is 450gsm for example. So, if they’re all the same shape and size the only way to stand out and make a difference is by having great design, right? Wrong. Whilst having great design is imperative it’s not your only option. Now don’t get me wrong, you can get larger / small business cards and even cards made from other materials, which will get you noticed, for better or worse, but these methods are certainly not cheap. Does that mean that you have to have a fair chunk of money available to spend on business cards if you want to stand out then? The simple answer is no. Less is more is a saying that has been thrown around for many a year, especially in the design industry, and you know what, it is completely right. And it is also the answer here. If you want to stand out more then give your clients and customers less… confused? Let me explain. Standard business cards come, as previously mentioned, at 85mm x 55mm in size, and that is with a typical straight-edge and right angled corner, but would you notice it more if you chopped off one or two or even all of the corners and had them rounded instead? It would certainly be different to the majority of people’s business cards. And better yet it’s not going to cost you the earth! You can have the corners rounded off for as little as £5*. The up-side to doing this is that your card will still fit into the same gaps in wallets and anywhere else that clients may store them, but they will look that little different. I, personally, have a pile of about 100 business cards on my desk and there is one card in there with rounded cards and it does stand out. You can make it subtle with one corner rounded at a size of 3.5mm or you can go all out and get all four corners rounded to 12mm, the choice is yours! If you have any questions or would like to enquire about your own rounded cards then contact us today. *one corner rounded is £10+vat and any extra corners thereafter is prices at £5+vat per corner.